Key Difference: The terms ‘Holy Ghost’ and ‘Holy Spirit’ refer to the same thing. Both the words are used to describe the third part of the Holy Trinity, apart from God and the son of God. The only difference is the way the word was used during the old times and today. 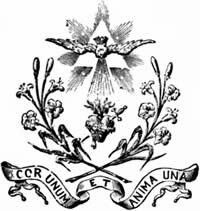 The terms ‘Holy Ghost’ and ‘Holy Spirit’ are a part of Christianity and Catholicism ( See: Christianity and Catholicism) and are used in order to explain the third part of the Holy Trinity apart from God and the son of God, Jesus. Even if one is not familiar with the biblical terminology of these words, almost everyone has heard the prayer, “In the name of the father and the son and the holy spirit (ghost).” As religion continues to change and beliefs continue to alter, people are often confused these two terms. Also see: Ghost Vs. Devil. Though a lot of people are unaware of the actual meaning of these two words, they do not have any theological differences. The main difference between the two is the way each word has been translated from the older language to the new one. Traditionally, ‘Holy Ghost’ was more commonly used in order to describe the third part of the Holy Trinity and differentiate from God and Jesus. The Holy Trinity is the belief that God is three divine persons that are distinct but coexist in unity and are co-equal. 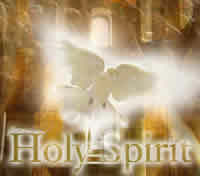 Holy Ghost was popularly used in the Authorized or the King James Version (KJV) of the Bible. The KJV version of the Bible used the word ‘spirit’ in a few places, but these were rare. The changes from Ghost to Spirit were made during the constant translations from the old languages and the different ways the words are now portrayed compared to then. The KJV Bible was translated from Greek and was completed in 1611 A.D.
See the difference: Catholic Bible Vs. Christian Bible. During those times, the word ‘ghost’ referred to the living essence of a person and the word was commonly used synonymously with ‘breath’ or ‘soul’. Since ‘Holy Spirit’ or ‘Holy Ghost’ has a similar meaning in the Holy Trinity, this was a proper translation for the Greek word ‘pneuma’ meaning “wind” or “breath”. The words related to ‘pneuma’ are still used in English to date in pneumonia (a type of lung disease) and pneumatology (the study of paranormal activities or beings). The word ‘spirit’ was more commonly used to describe the imprint of a departed person, such as a soul or apparition during that time. Also see: Soul Vs. Spirit. As time passed by and the meaning of these words was reversed and the word ghost is now used to refer to the apparitions, while spirit means the soul of a person, the word ‘Holy Ghost’ was also changed in order to keep it mean the same thing and not cause confusion. The meanings of these words changed when the Bible was translated from Latin. Latin became the predominant language of the time and is also credited to giving birth to many languages that are used today, including English. The Latin translation used the word ‘spiritus’, meaning breath derived from ‘spirare’ meaning to blow or breathe. This translation was more commonly accepted and the ‘Holy Ghost’ was changed to ‘Holy Spirit’. ‘Holy Ghost’ is still widely accepted by followers of the King James Version of the Bible and both ‘Holy Ghost’ and ‘Holy Spirit’ is depicted by a dove.